According to the Forest Service, the United States currently loses 6,000 acres of open space every day -- four acres per minute! Accordingly, 'conservation' is a word that we hear every day. Applied in many different contexts including energy, land, and economics, conservation is a timely tool for us to use in our daily lives. The Access Fund is a non-profit organization with a dual conservation mission: to keep climbing areas open and to maintain the climbing environment. Backed by large-scale partners like Black Diamond, REI, CLIF Bar, and Prana, the Access Fund was founded as a way for climbers to give back to their recreation areas. Adopt-a-Crag and The Boulder Project are the Access Fund's most visible programs. Adopt-a-Crag is a stewardship project that assists in forming partnerships between climbers and landowners. The goal of this particular program is to initiate litter clean ups, trail restoration, and wildlife monitoring in a designated climbing location. The Boulder Project is another stewardship program, one that focuses more specifically on low impact climbing. 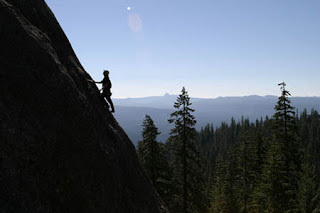 According to the Access Fund's website, low impact climbing includes understanding land ownership, minimizing impacts on off-trail locations, and speaking up to climbers who don't recognize the importance of conserving recreation areas. The Access Fund also advocates for climbing conservation in several other significant ways. 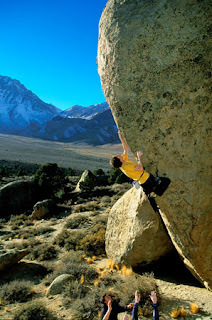 One important resource they offer is creating climbing management plans for public lands. These plans help to maintain availability of climbing areas by mitigating the effects of recreationists. Their team of staff and volunteers also spend many hours lobbying in D.C., and maintaining a comprehensive list of recreation area access issues. Stay informed -- Make sure you have the latest information on access and closures for your region. Click Here to search by state. Adopt-a-Crag -- Give back to your favorite climbing area by forming a stewardship group. Play Gunther's Big Day game -- have a little bouldering fun when you're bored at work. Everytime someone buys the full version, a $10 donation is made to the Access Fund. Activist Tools -- The Access Fund provides materials for climbers and landowners on how to be an activist.